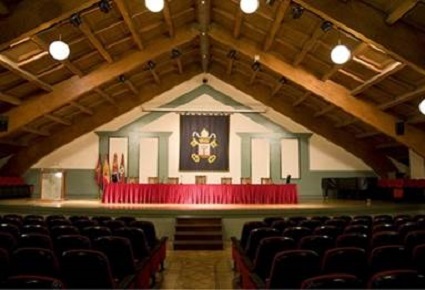 The Conference Venue is the 'Palacio de Congresos Conde Ansúrez', the University of Valladolid Conference Centre. 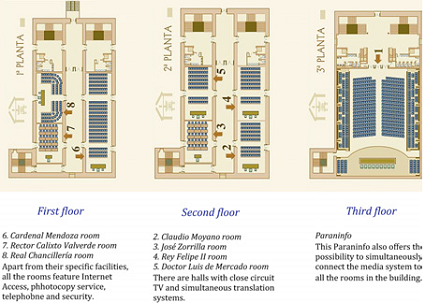 It is located in the heart of the city, between the historical campus of the University of Valladolid, and the new extension of the campus towards the Technology Faculties and the Science Park. It still forms part of the historical area of the city. The Conference Centre is an old building dating from the 17th century. It was originally the Archive for the Royal Chancery, next to the Palace where the wedding of the Catholic King and Queen, Isabel and Ferdinand, took place. It is also next to the former prison of the Royal Chancery, which today houses the University of Valladolid Library. The Conference Centre is between five and ten minutes’ walk from the Main Square, some of the principal hotels, and the area for tapas and restaurants. In fact, Valladolid is a city in which most places can be reached on foot. The Venue has all the technical and media facilities required, together with space for the Secretariat, press, room for posters or exhibitions, space for networking, and the like. It also offers catering services, for which there is a special area set aside. However, if the weather is not too hot, we might have lunch and coffee breaks outside in the conference centre gardens, since these are located in a pedestrian area, restricted to university use only.